Kid Cudi is right back on track after a stint in rehab, he drops his Passion, Pain & Demon Slayin album. Cudi has been teasing the project since May with various updates throughout the year, including the revelation that André 3000 will make multiple appearances. 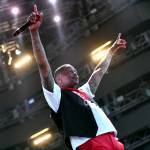 The double disc album was slated to drop in September, but was delayed supposedly due to sample clearances. Then the Cleveland artist checked himself into rehab for depression and suicidal thoughts before making his return at ComplexCon. Cudi’s last full output was the “alternative” Speedin’ Bullet 2 Heaven. And now, stream Kid Cudi’s Passion, Pain & Demon Slayin’ album below and keep scrolling for the cover art and tracklist. Kid Cudi has shared the new release date for his Passion, Pain & Demon Slayin’ album. The double disc project is due out digitally December 16 with a physical release a week later on December 23. The iTunes pre-order also confirms the date and shows an added song called “Commander” to the tracklist, which includes features from André 3000, Willow Smith and Pharrell. The Man on the Moon also shared “Baptized in Fire” with Travis Scott, which you can listen to below. Cudi delayed the album earlier this fall shortly before checking himself into rehab for depression. Last month, he performed at ComplexCon seemingly full of good spirit. See the cover art and updated tracklist for Kid Cudi’s Passion, Pain & Demon Slayin’ album below. Kid Cudi has delayed the release of Passion, Pain & Demon Slayin’ due to sample clearances, he wrote in a note to his fans on Twitter. The LP was supposed to drop tonight and doesn’t have a new release date yet. He says he’s working on releasing two singles to hold the people over until the full project can be released. 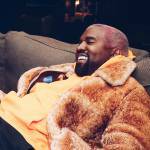 This isn’t the first time lovers of music have had to wait for projects, as this summer has been chock full of delayed releases. Frank Ocean kept the world on its toes as they awaited what turned out to be Blonde. Travis Scott also dragged out the release for Birds in the Trap Sing McKnight. And French Montana’s MC4 is due out in a few weeks after it was delayed for the same reason as Cudi’s LP, sample clearances. Kid Cudi has announced the release date for his Passion, Pain & Demon Slayin’ album and says it is to drop this Friday (September 30). The Cleveland artist released the four-part tracklist today as well. The LP, which will be available in physical double disc copies as well as stream across all platforms, is said to have features from André 3000, Pharrell and Travis Scott. Check out Kid Cudi’s announcement for Passion, Pain & Demon Slayin’ below and keep scrolling for the tracklist. 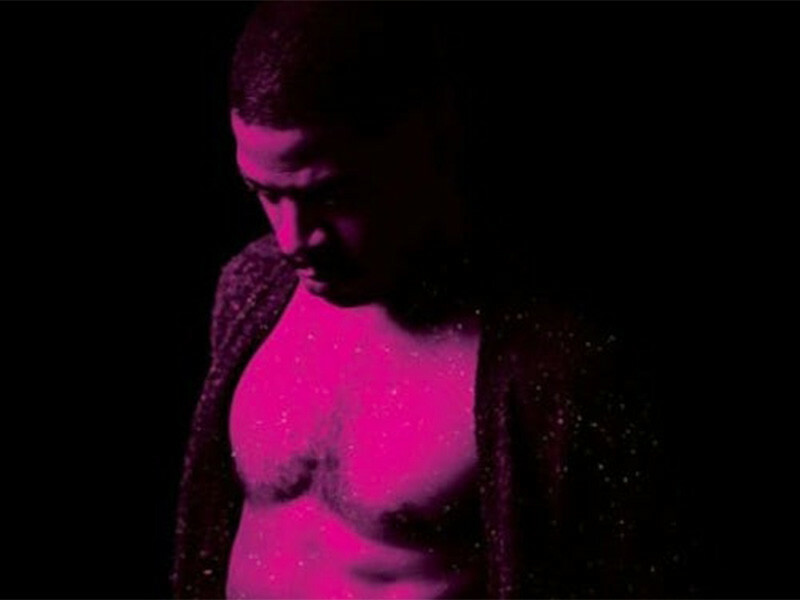 Kid Cudi has released the tracklist for his upcoming double-disc album for his fans. Features are set to come from André 3000 (listed by his given name, André Benjamin), Willow Smith, Travis Scott and Pharrell Williams. Three Stacks’ presence is still widely anticipated by the Hip Hop world and he made a rare appearance on Frank Ocean’s Blonde album last month. 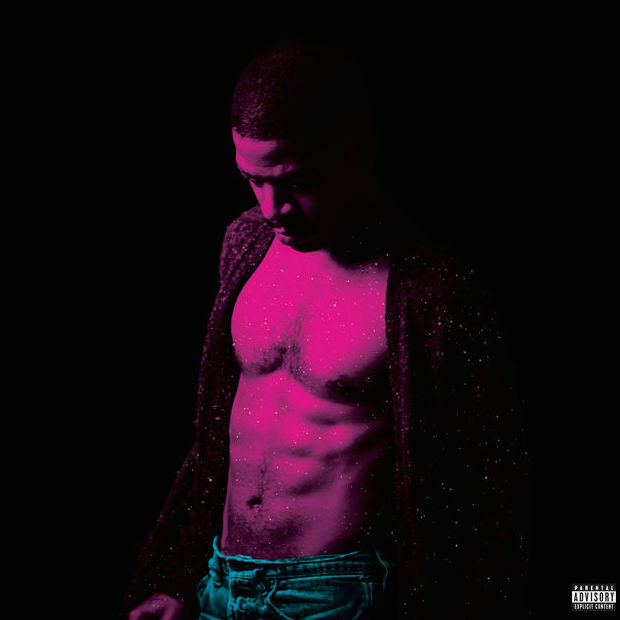 Cudi has announced he is prepping two albums for this year, one supposedly titled Passion, Pain and Demon Slayin’, but he has not used the title with the promo for this most recent project. Check out the tracklist for Kid Cudi’s upcoming album below. Kid Cudi is set to release an album this month and he says the physical will be a double-disc project. Upon making the announcement on Twitter, Cudi says he will not be fueling the ongoing streaming war as he promises that the project will be available on “ALL PLATFORMS for streaming and download.” Physical copies will shortly follow, which will be in the format of a double disc because the project is 18 tracks and more than 90 minutes long. 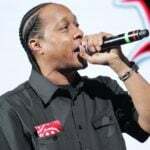 The Cleveland artist expressed his gratitude for his fans and said he wants to make their experience as easy as possible. He previously announced plans to drop two projects this year, Passion, Pain and Demon Slayin and a project whose title has not yet been announced. Whatever comes this month will be the follow-up to Speedin’ Bullet 2 Heaven. 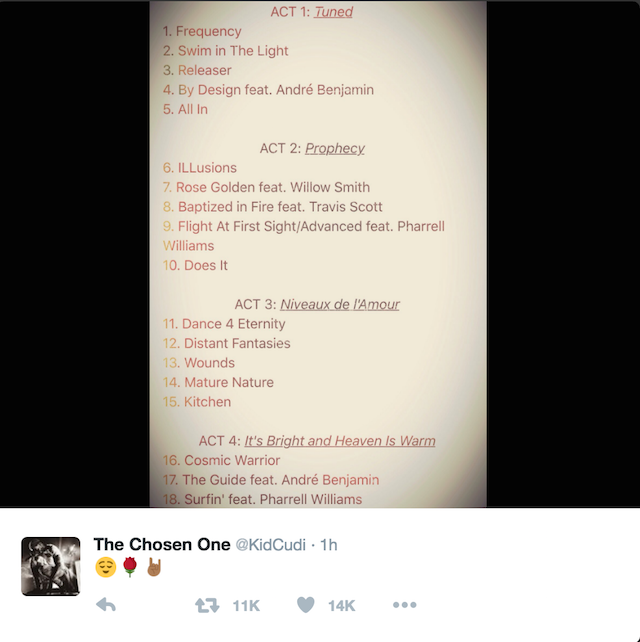 Check out Kid Cudi’s tweets announcing a double disc album below. Hey! So im workin on a date for a release this month. Available on ALL PLATFORMS for streaming and download, physicals shortly after ??? Lot of beautiful sonic candy awaits you my friends. With love and light always, ??? Nothings more special for an artist than feeling unconditional love and support for their work. Warm heart, thanx ? ?